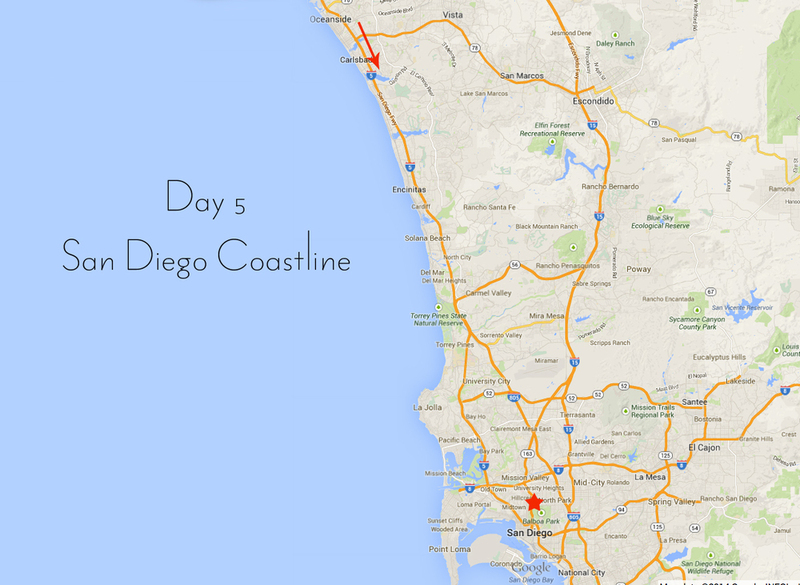 After our relaxing first night in San Diego we decided that Monday morning we were going to take a trip down the coastline. We started in Oceanside and just drove through all the little beach communities stopping along the way to walk around, have some coffee and enjoy the scenery. 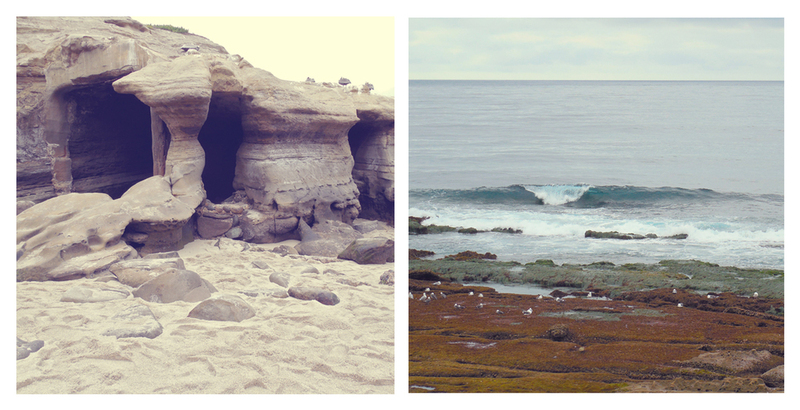 We fell in love with Del Mar and Solana Beach area, the town was so cute, there were a ton of little shops and Del Mar has an awesome dog beach! We loved it so much so that we decided we wanted to go back and spend a little more time there... but that would be for a later day. 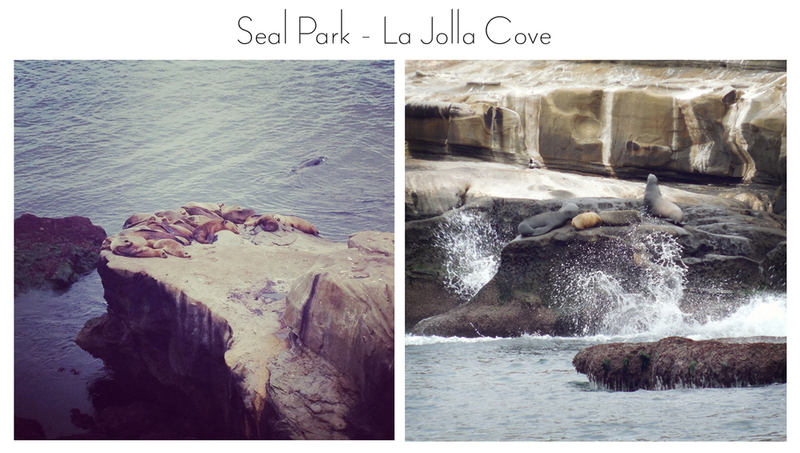 As we continued down the coast we got a little lost but it's a good thing we did..... we came across the seals at the Underwater Park in La Jolla! side note - found my very first piece of west coast sea glass here! 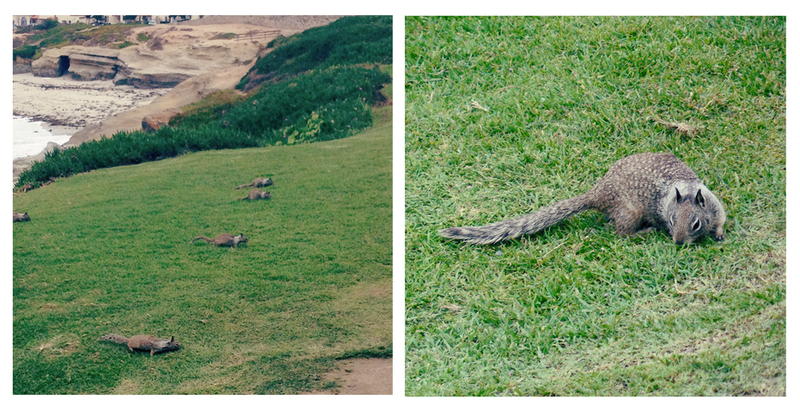 Traveling through La Jolla we came to realize that they had an over abundance of squirrels! They were everywhere in large groups just hang out. Kind of creepy I'm not going to lie. Skinny little things aren't they?! Maybe it's because there were signs everywhere warning not to feed them. Along the way we made a few pit stops here and there to stop and stretch, walk around and eat. The final stop on our adventure through the SD beachside was in Pacific Beach. We found ourselves in some familiar seats at Millers Field for some wings and beer. Sitting in the exact same seats as we did 4 years earlier, where we feel in love with San Diego in the first place, we watched the sunset. Then we headed back to Downtown for some dinner and drinks. We did a lot of eating and drinking on this trip. Our Monday night ended with us having a few martinis (beers for Tim) at Altitude Sky Lounge on the roof top of the Marriott in downtown. The atmosphere was great, granted we were there on a Monday night in February but still, they had some awesome old school hip hop on and the view was amazing! You had a clear view of Petco Park, the stadium and the beautiful skyline. We will definitely be going back there again! So that's about it for today. I was going to tell you all about our day at Balboa Park and our sunset gondola ride but unfortunately it's time for bed! There is much more fun to come... until then goodnight!